Officer Adam Menuez was killed in automobile accident on Rio Vista Street, on the Stillwater Indian Reservation, while responding to a call at approximately 4:30 am. He lost control of his 2006 Dodge Charger patrol car and struck a guardrail on a bridge as he rounded a bend in the roadway. The vehicle overturned and became submerged in an irrigation canal. He was extricated from the vehicle and transported to Fallon Churchill Banner Hospital, where he was pronounced dead. Officer Menuez was a US Army veteran of the War on Terrorism. 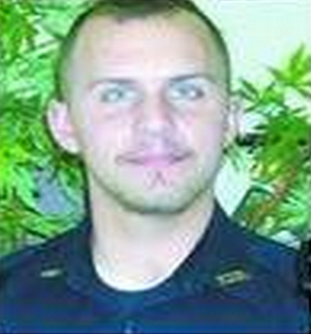 He had served with the Fallon Paiute-Shoshone Tribal Police Department for only 5 months.